Makeup is necessary to look more beautiful and gorgeous. Everyone will notice you and will also complement you for your pretty face. 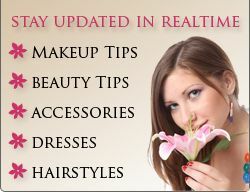 In makeup also, especially eye makeup has been given utmost importance. Eye makeup consists of putting eye shadow, eye liner and mascara to make the eyes look prettier. But some times it happens that you don’t have to use all the three to get perfect eye look. You can get that look by just applying eyeliner. Eyeliner comes in different varieties and is applied on eyelids. You can apply on either both eyelids or just upper eyelid. You can also go for a look which covers just 3/4th of both eyelids with eyeliner. Recently, this look is very much in demand and most of the models and other women are going for this eye look. There are three types of eyeliner and they are pencil eyeliner, liquid eyeliner and gel eyeliner. Among these types, pencil eyeliner is generally picked by most of the women as it is easy to apply. Also it is available in varieties of color. Liquid eyeliner is too in demand but not as much as pencil eyeliner as it is bit tricky to apply and also one needs a steady hand to apply it. Gel eyeliner is the least one to be picked up. Applying eyeliner is an easy task. You have to stretch out your lower eyelid and start applying eyeliner. For upper eyelid, you will have to close your one eye and apply eyeliner. Start applying it from outer corner and go till inner corner of the eye for both the eyelids. Make sure that you don’t draw a straight line, instead you should move along the boundary of the eyelid. If you are applying eyeliner for the first time then you can put on some dots on the eyelids and join them. In this case, make sure that when you join the dots it appears a full, nice line and not some joined line. While applying liquid eyeliner, you can go with this method as it is bit tricky to handle and can get messy sometimes. For soft look you should draw a thin line and for dramatic look you can draw thick lines. Removing eyeliner is simple. Makeup remover would help you out to remove it. But it is always advised that you buy special makeup remover for eyes. So, with the help of eye makeup remover you can remove eyeliner. Just dab a cotton ball or cotton swab in the eye makeup remover and gently apply it on eyelids. Press it for few seconds and then rub it to remove eyeliner from the eyelids. If you feel difficulty in removing then apply some gel on the eyes and then leave it for 2-5 minutes. After this again apply eye makeup remover to remove eyeliner. Eyeliner is essential for eye makeup. You have to apply eyeliner to make your eyes stand out. Generally after some hours, the effect of eyeliner would get diluted and you would have to re-apply it. So, always carry spare eyeliner with yourself in your handbag. Buy different colored eyeliner and look beautiful.